You are invited to a film showing on The Chikukwa Project at the Alliance Francaise, Harare, on Friday 16th May from 2pm. The film was made by Australian Researcher Terrance Leahy (University of Newcastle) and his sister, filmmaker Gillian Leahy (University of Technology, Sydney) and looks at the CELUCT agricultural project which has been evolving in the Chikukwa villages of Chimanimani in response to land degradation issues such as deforestation and soil erosion which severely threatened food security in the area in the 1990s. Today, the landscape of the area is transformed with all six villages (7000 people) of the Chikukwa clan using a permaculture strategy for natural resource management, agricultural production and social design founded on participatory engagement of the community. While focussing on food and nutrition security through sustainable agricultural practices, the project also addresses gender, education, HIV/AIDS psyco-social support and community peace-building. Terrance Leahy will be available to answer questions about the film. Please circulate this invitation widely. TSURO Trust is an NGO that started in 1999 after communities in Chimanimani started to catch on to value of the work being done, since 1991, by CELUCT in Chikukwa. NGOS and government, together with the community, came together to establish a district-level program to complement CELUCT’s village-level activities. 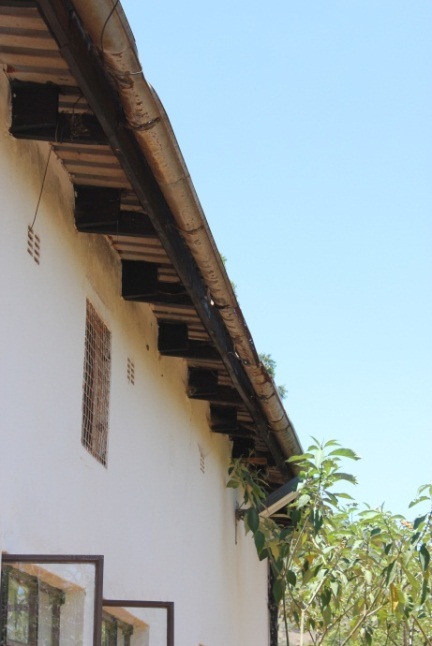 TSURO began without funds but by 2001, had managed to get Kellogg Foundation funding to work in 3 wards (out of a total of 23 wards in the Chimanimani district). They have since been awarded funding by the Weltfriedensdienst (WFD) and Evangelischer Entwicklungsdienst (EED), the Japanese Embassy and the Tudor Trust, among others. They are a membership-based organisation with a $5 per village annual fee. Currently having 30 staff on board, TSURO work in the Chimanimani district focussing on capacity building at the local level. Their mandate involves the application of permaculture for improving food security, nutrition and value-added livelihood activities. They take a holistic approach to agro-food interventions and practice participatory village-based planning. These plans are then consolidated at the ward level and consulted at the district level. Their philosophy is to start interventions in food security and livelihoods right at the doorstep. They also take the ‘lead farmer’ approach (i.e. training of trainers); they now have about 250 ‘lead farmers’, identified by the community, whom they train in permaculture techniques in order to train others in the community. Frequently organising fieldtrips for communities to learn from each other, they also initiate ‘starter groups’, whereby one community member teaches a small group on a topic about which they are knowledgable and then these groups develop their skills and cultivate different specialisms. 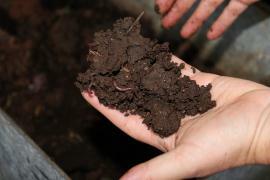 Skills are then shared with others through ongoing farmer-to-farmer workshops. TSURO holds regular workshops and meetings, promoting key permaculture techniques such as the integration of livestock and crop management, as well as agroforestry, mulching and importantly, rainwater harvesting. 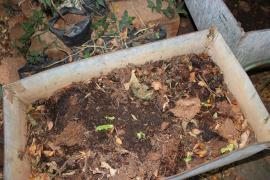 TSURO also promote the use of nitrogen-fixing plants as an organic and low-cost method of soil enrichment. 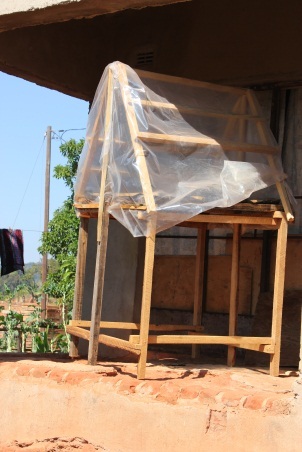 Lucina, sesbania beans, pigeon peas, comfrey and acacias are examples of the plants used for this purpose. 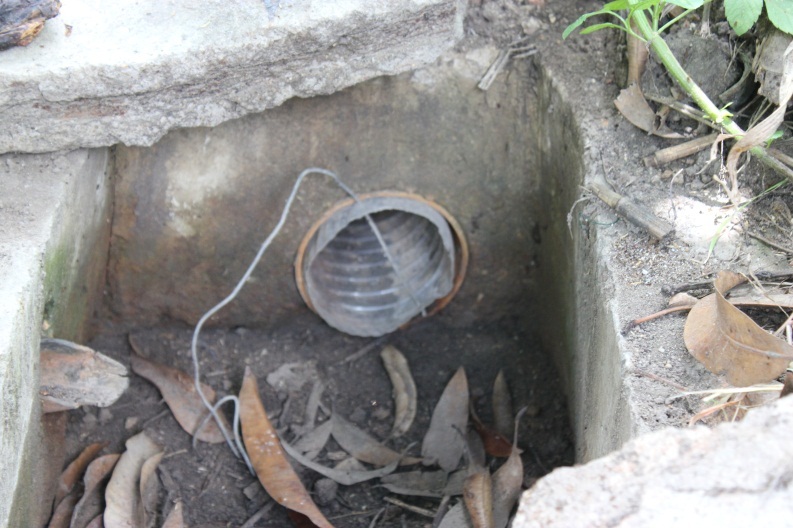 Outreach and training programs encompass irrigation schemes, composting and permaculture home designs. Great work has been done with local township women in Ngangu, Chimanimani, TSURO dedicate much work to the promotion of open pollinated varieties, seeing this as essential for food security. They organise ‘seed fayres’, seed saving and sharing schemes, and run competitions to motivate people to get involved in preserving indigenous seed varieties. They also provide valuable marketing assistance in the form of Temz, which is a private company run by TSURO that buys produce directly from farmers to assist them with processing and distribution. They also help to locate other markets for community production and assist with value-added production. Truck hire is available to members at $0.70/km. 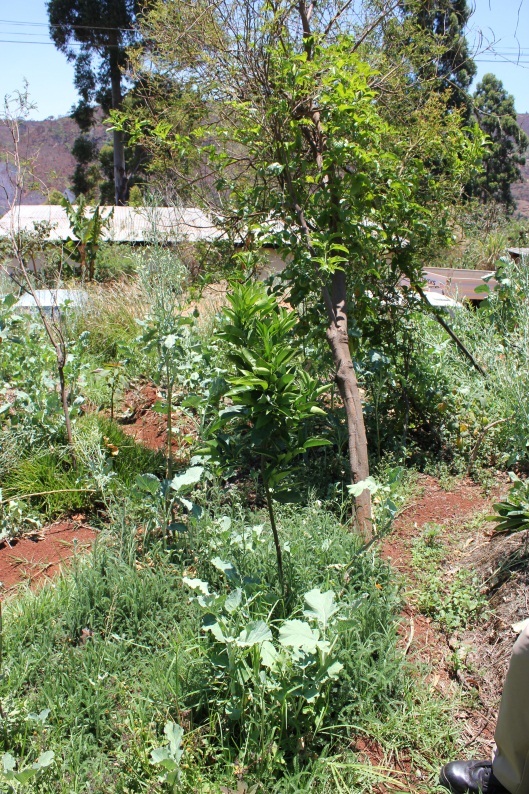 One of their most inspiring projects is the community health initiative, Zunde Tamambo, which brings the permaculture principle of caring for people alive by promoting community support for vulnerable individuals (such as orphans and the elderly) by cultivating food crops on special plots of land on their behalf. Alias Mlambo reported that there is a low adoption rate of permaculture by conventional stakeholders, who have been trained in conventional agriculture and agro-economics. There is resistance among these influential actors and so it has been difficult to influence policy at the national level. 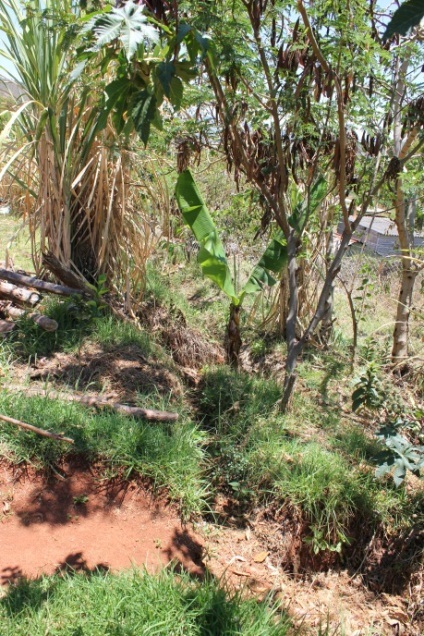 However, community level interest in Chimanmani is high; poorer rural people have been more open to seeing the benefits available to them and adopting permaculture principles and techniques. 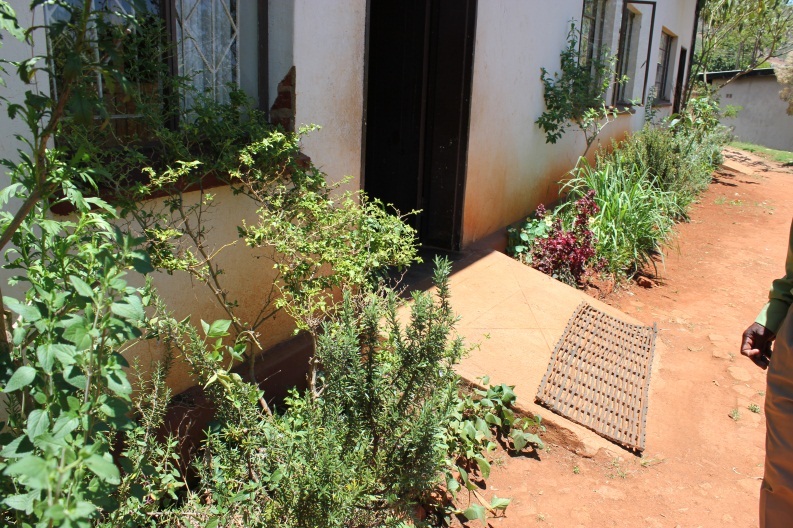 TSURO fosters a vision of Chimanimani becoming a ‘Permaculture District’. Experience, they argue, has proven the benefits of permaculture for livelihood generation, food security and environmental conservation/rehabilitation in this context. Moreover, they suggest, permaculture is ‘closer to traditional practices’ and its principles and practices foster community-building, encouraging unity and cooperation between people. Currently funded by HEKSEPPA, the Methodist Relief Development Fund, HEVOS and Comic Relief, the FTC began as a co-op for small holders and sustainable technologies in 1988, after founders, including John Wilson, went to one of Bill Mollison’s permaculture workshops in neighbouring Botswana. From 1988-1991, the place ran on a trial, experimental basis, establishing itself as a permaculture and sustainable technology demonstration site. In 1991, the FTC was formally established to run outreach programs with other organizations and communities, with a mission to facilitate the adoption of sustainable food security solutions, while addressing environmental problems at the grassroots level. 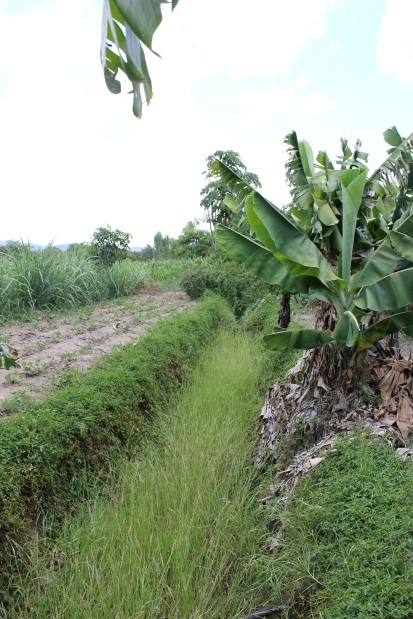 Government was not much interested initially but, current programmes manager Lewis Mudokwani informed me, they began to buy in after 2007 as the economic crisis proved that permaculture was a more sustainable and viable farming method, particularly for small holders. With no major input costs and a long-term approach to food security, the effectiveness of permaculture techniques are especially striking when times are hard. Today, government extension officers assist the FTC with some of the outreach work and nationally, a diploma in Permaculture has been introduced at Bindura University. 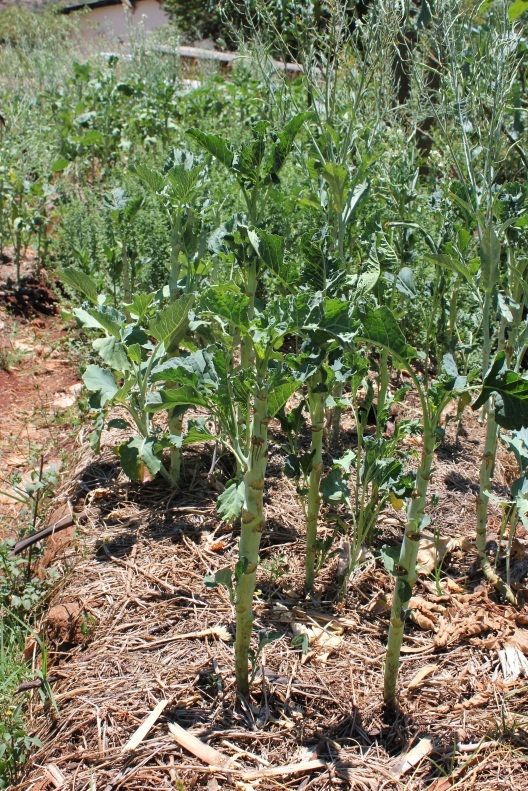 The Centre focusses on connecting indigenous knowledge systems with sustainable livelihood solutions, with nutrition gardens and dryland production being core outreach activities (as can be seen, for example, in Matopos and Wedza). Also promoted are bee-keeping, goat rearing schemes, AIDS-related (immune-boosting) nutrition practices, seed saving and sharing, (market-oriented) enterprise development and rainwater harvesting. 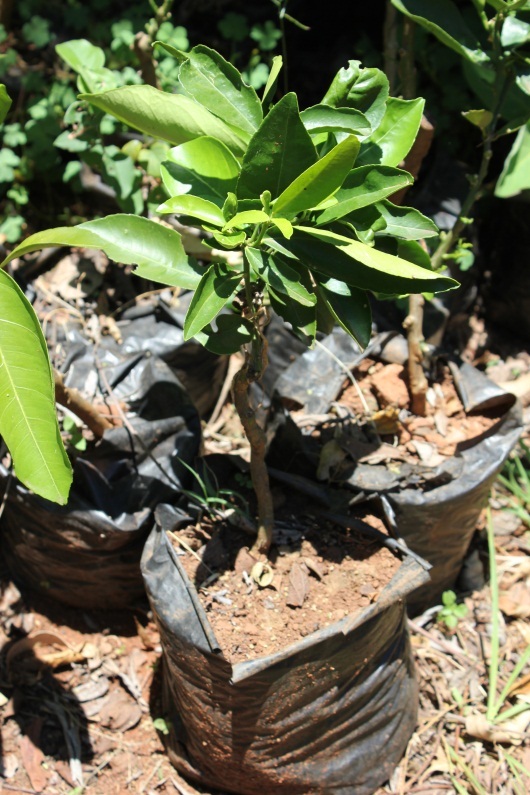 The FTC currently have an active climate change awareness program in Matopos schools and are also building a Resource Centre for community level agro-processing, agricultural and marketing information in Kezi. There is an active and dedicated staff team at the FTC with several members out-posted to incubate projects in different provinces. They adopt a participatory and peer-to-peer communication approach, with farmer exchange visits encouraged. 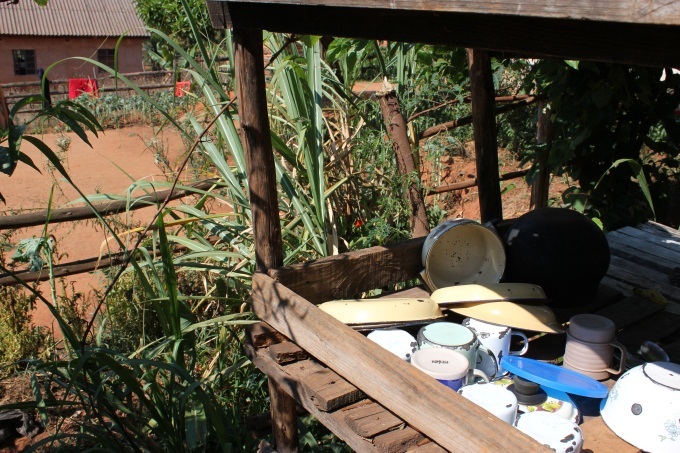 The Centre, as the first major centre for permaculture training in Zimbabwe, has influenced the development of nearly every related project in the country, with many receiving their initial training through/at the FTC. They have worked closely with organisations such as CELUCT, ZOPPA and TSURO. Today, the Centre remains an inspirational and priceless asset for sustainability education in Zimbabwe, but is facing many challenges. During my visit in 2012, many maintenance issues were pointed out at their offices and demonstration site just outside Harare, (where a rammed earth ‘eco’-building houses the main activities). An elderly transport fleet and rising overheads make operational costs almost impossible to meet, given the decrease in funding since the global financial decline began in 2008. Other challenges for the FTC include the instability and influence of local politics and the gatekeeping culture, where by it is often complicated to roll out training projects for farmers, or for farmers to engage with FTC without long, drawn-out processes of negotiation for permission. 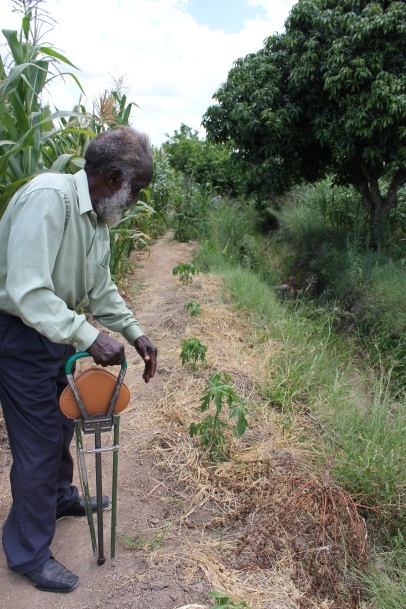 More widely, in Zimbabwe, the projects are often curtailed by water shortages, poor transport to markets, existing market limitations, the fact that ‘organic’ protocols are not well- recognized/respected, and a long-term attitude of dependency upon outside donors and NGOs. After more than 25 years, the Centre staunchly continues against these odds, with the noble goals of: continuing to demonstrate the benefits of permaculture and leading by example; engaging government and other partners to lobby for policy support; increasing accommodation at the Centre to host trainees; increasing community outreach; and becoming self-sustainable in terms of income generation. Ebenezer runs a two year fulltime apprenticeship that enables young people (17-23 year olds) to start and run their own small-scale farm/agribusiness. It has a zealously Christian agenda, with compulsory bible studies and Christian education classes mixed in with a curriculum of business studies, maths, English and agriculture. Mornings are spent in the fields doing practical work, with afternoons spent in lessons. The Centre has been running since 2007 and is located in Mablauwuni Village in the dry Matopo area of Matebeleland South. It is situated on a farm owned by the family that set up this youth training project. 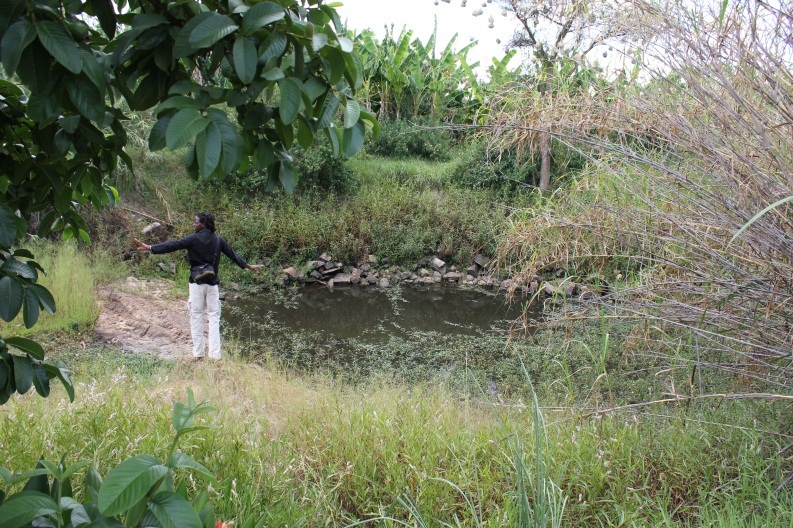 The development of Ebenezer was largely enabled by the completion of a new dam on the farm, which has allowed irrigated agriculture to take place. The Centre is co-ordinated by Renee Cunningham and in 2012, there were approximately 30 resident apprentices, all from the local area and not required to pay any enrolment fees. For the first six months, the apprentices gain basic skills in agri-business. The system is quite unique in that it is based in an ‘earn and learn’ principle. That is, after six months, each apprentice is allocated a small plot of land on which to grow their own cash crops (tomatoes, onions, beans, cabbages, etc). At this point, each apprentice is required to contribute $30 a month towards their food and accommodation at the Centre. 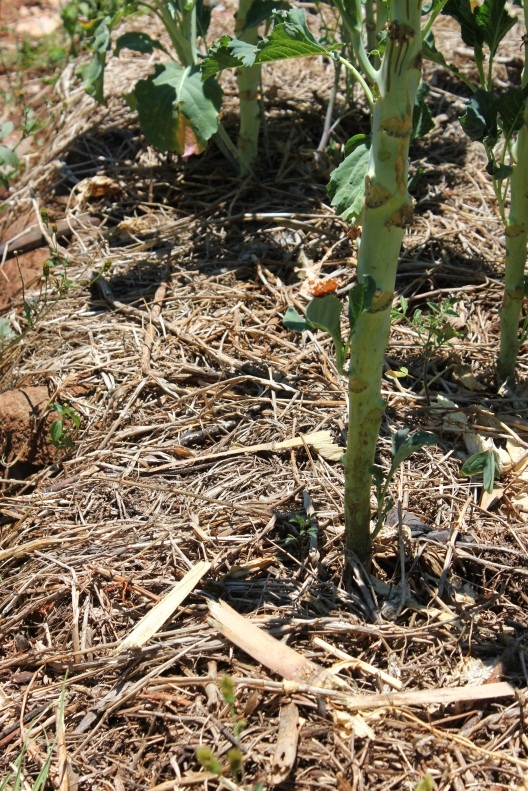 They each utilise at least three 30mx30m plots and are encouraged to cultivate at least three different kinds of crop. 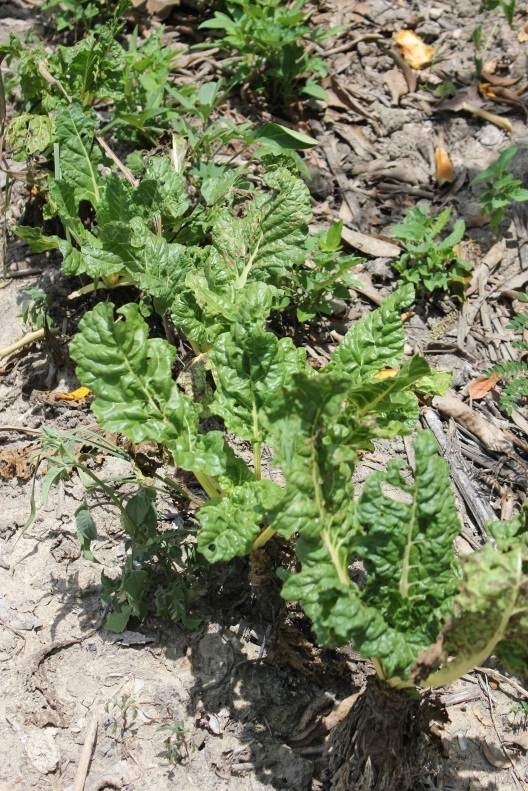 A contract is entered into between the apprentice and the company (the Cunninghams have a family agro-processing business), who provide the initial agricultural inputs. They sell their produce to the buyer- a guaranteed market- and split the profits 50:50 until they are able to independently purchase their own inputs and therefore shift into a new contractual (90:10) relationship. By the end of two year period, successful apprentices will have managed to buy their own tools and saved enough to start their own small agri-business when they return home. The system thus encourages discipline, forward-planning and entrepreneurial behaviour. The Centre does not teach or promote organic production; they apply chemical fertilisers and pesticides and also use spray irrigation 24-hours a day. 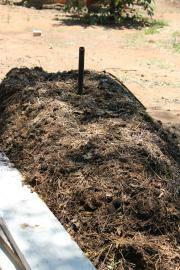 (They do encourage the use of mulch, manure and crop rotation). Ebenezer is developing and expanding a broiler chicken enterprise and aim to increase their monthly turnover from 3000 broiler hens sold per month to 8000. The students are graded on the basis of ‘the average Feed Conversion ratio and mortality rate’. There is clearly not a huge emphasis here on environmental sustainability and holistic health. They are though, committed to supporting the economic and social development of the participating youth and promoting business ethics and entrepreneurial initiatives in the local community. Introducing Ebenezer Agricultural Training Centre from Pamela Ngwenya on Vimeo.